A High-stability Master Clock and Dual Sample Rate Converter. The M-Clock Plus is a high stability master clock generator offering clock rates from 44.1 to 192kHz, coupled to two sample rate converters, which allow material to be simultaneously re-sampled and syncronised to the selected high precision clock. In addition to the internal clocks, M-Clock Plus can sync to either external word clock or clocks from AES/EBU signals. Precision clock frequency measurement and display indicates the exact frequency of the selected clock, whether internal or external, to an accuracy of 2ppm. 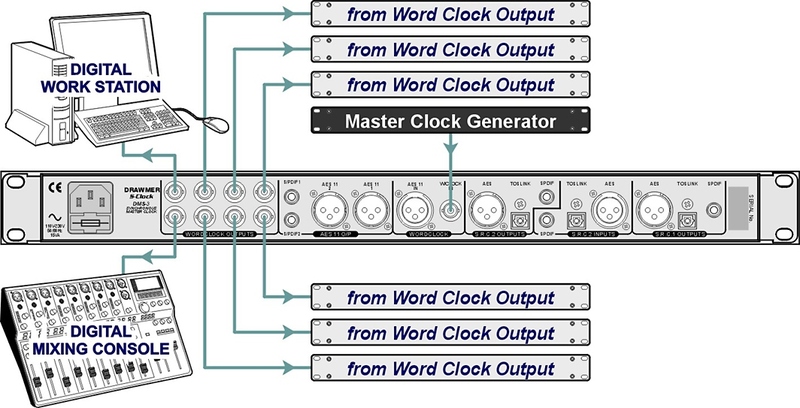 The M-Clock Plus has a total of ten word clock outputs, so it's ready to handle even the most complex systems. Eight outputs are located at the rear and two are on the front panel for convenient access. M-Clock Plus has an external word clock input and an AES11 input which retrieves the clock from an AES audio signal. Plus, each sample rate converter has selectable AES, SPDIF or TOSLINK inputs, with simultaneous AES, SPDIF and TOSLINK outputs for many format and sample rate conversion options. The M-Clock Plus' precision clock frequency measurement and 16 character blue LCD display indicates the exact frequency of the selected clock up to 768 kHz, whether internal or external, to an accuracy of 2ppm or 2 microseconds. Display modes include ppm, ±ppm & % pull up/down for video users. Internal clock generator: 44.1, 48, 88.2, 96, 176.4, and 192kHz +/- 1PPM accuracy (AES Grade 1). External clock inputs: BNC word clock, AES 11. S.R.C. 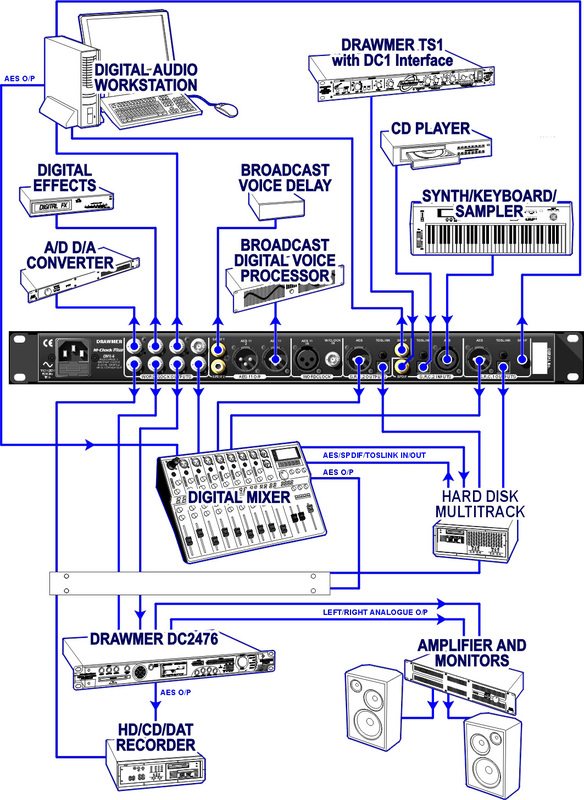 inputs: selectable AES/EBU (XLR), S/PDIF Coax (RCA) & S/PDIF optical (TOSLink). Sample Rate Converter outputs: simultaneous AES/EBU, S/PDIF Coax, & S/PDIF optical. Selectable output word length between 24-bit and 16-bit dithered. 2 BNC word clock outputs on the front panel for convenient connection of portable equipment. 16 character blue LCD display providing a reference measurement of the sample rate. Measures incoming sample frequencies up to 768 kHz to an accuracy of 2ppm or 2 microseconds. Display modes: ppm, ±ppm & % pull up/down for video users. Word clock outputs: ten BNC, two AES11 XLR, two AES11 RCA. Power supply: Universal, 85 to 250 VAC, 50-60Hz. Word Clock Synchronization - why and when you need it.